I was once asked by a cute first grader: “Mrs. Killian, what is your favorite word?” I stared. I had never been asked that question before. I should have a favorite word. All teachers should have a favorite word. Words are our life. How does one go about choosing a favorite word? Is it as simple as picking something I love – like family, or dessert, or traveling, or grandson? It would definitely not be diet or treadmill. Maybe it should be two words. Bus duty would be out. So would recess duty. It could be sleeping in or ice cream. Yesterday, I went into Mrs. Taylors’s class and watched some students decoding words with the ‘ch’ digraph and then I tip-toed through the halls could hear a student reading aloud to Mrs. Marziale. And later that day I found my favorite words. It happened after I finished reading a book to a 2nd grader who was in the learning pit and was struggling with her math. She and I read a story about having a bubble gum brain; a brain that likes to grow and stretch and isn’t afraid to keep trying when learning gets tough. We finished reading, I closed the book, she looked at me, worked at her math problem and solved it and then said; “Books are good!” What a rich life teachers have! On Halloween, we will begin our morning with a Halloween parade. Into the school on Halloween morning will walk Superman, a clown, an angel, some devils, the Disney princesses will be present, maybe an astronaut, a pack of Ninjas, Darth Vader, and possibly some pirates. We will be parading outside this year. We invite you to drop your children off, find a parking stall, pull out the lawn chairs, choose a good seat on the parade route and stay for the “Monster March.” Students will assemble in their classroom and after the morning bell and announcements, we will begin our parade. The ghouls and goblins will exit from the school, parade around the sports park, re-enter and parade through the halls; dropping each class off at their classroom door. Afternoon Kindergarten will begin their parade at 12:30 p.m. They will parade around the Kindergarten Playground. Check out spoooooky Riverview RAM scarecrow this Halloween season. Our entry in the Spanish Fork City Scarecrow Contest is directly in front of Central Bank on Main Street. Don’t forget to vote for our scarecrow. The winner gets $100 and bragging rights! Session 2 clubs will begin on Monday, October 30th. There will be no clubs on Tuesday, October 31st. Payment WILL NOT be online this time, please bring your payment to the office by FRIDAY, October 27th to secure your spot. If you need payment arrangements or have any question please contact RaeAnn Nelson at raeann.nelson@nebo.edu. The Riverview Elementary Mothers/Sons Activity is quickly approaching; Thursday, October 26th from 5:30 p.m.-8:30 p.m. at Classic Fun Center in Orem. Free skating admission for mothers and sons. Add bouncing & climbing or laser tag for $3. Add all three for $4. Skate rental included. Blade, scooter, skate mate rental is $3. You may also bring your own skates, blades, or scooters. 60 tokens for $5. Dinner deals for $3; Nachos & Drink, Pizza & Drink or Corn Dog & Drink. Two more school days until the book fair; October 30th – November 2nd. Find books for all ages and interests! Don’t know what to buy? Watch for teacher picks and teacher requests. Halloween Book Haunt at the Book Fair-Tuesday, October 31st; Immediately following the Halloween parade. Parents, this is a chance for you to shop for Christmas presents without your kids. Family Night at the Book Fair-Thursday, November 2nd; 5:30-7:30 p.m. Don’t miss this fun event! There will be piles of prizes and games galore. You’ll think you’re on a real dude ranch! Each book fair we raise money for ‘All for Books.’ This is a program in which 100% of the proceeds go to buying books for Riverview. Show you pride (Utes or Cougars) by donating to this great cause. In order to make this a successful book fair, the PTA MUST have many volunteers. You DO NOT have to be a member of the PTA to volunteer. PLEASE follow this link to sign-up and support our wonderful Riverview Rams. https://docs.google.com/spreadsheets/d/1ihhcM1G20JFsSaj1anqNR05dwHlQrAvfbZkjH7wAVig/edit#gid=0. 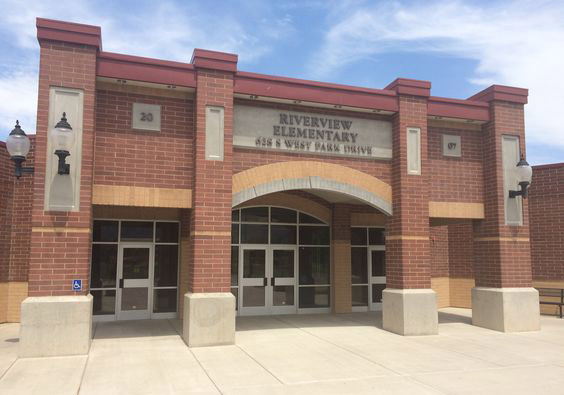 Riverview Elementary PTA presents the “Reflections” contest. Express yourself through art; Literature, Visual Arts, Dance, 3-D Art, and Photography. The 2017-2018 Theme: “Within Reach.” Have students pick up an entry form from their teacher or at the office. Deadline: Friday, November 3rd. If you have a family member who has served in the military, please be willing to share with us a copy of his/her photo. Mrs. RaeAnn Nelson will be posting the pictures in the hall in honor of all those who are serving our country. The Riverview website http://riverview.nebo.edu/. has been updated in order to hopefully make it easier to access school information. Please click on the ‘Parents’ link to find all information regarding after-school clubs, busing information, map for dropping off/picking up, our positive behavior intervention and support system (PBIS), PTA information, contact information when bullying is occurring (SafeUT), school community council (SCC), and the school handbook. The main column will allow you to read all newsletters sent home by me this year. The ‘Students’ link will allow students connect to online homework resources and learning sites. Cool weather is upon us. Please send your child to school with a jacket for recess. In order to keep the lost-n-found collection from growing, please label jackets with your child’s name. October 26th – Mother/Sons Activity at Classic Fun Center, 5:30-8:30 p.m.
November 2nd – Family Night at the Bookfair, 5:30 – 7:30 p.m.
November 14th – Veteran’s Assembly 9:00 a.m.
November 16th – Reflections assembly 2:00 p.m.
November 21st – Make Your Mark Assembly 9:00 a.m.